If you have any questions or want to enquire about dates, use our form to contact Louise Bancroft or see their website for more information. Arrive to a cheerful hello from Louise and head upstairs to the huge living space of her renovated old cider barn for tea and cake – or she’ll bring you a tray outside. There’s a sunny garden and the night skies are clear. Guest bedrooms lie privately on the ground floor. The West Apartment is self-contained with a kitchen and sitting room; this is usually let as self-catering but if you come as a group of six B&Bers you can all use its sunny sitting space which opens onto the garden. Louise is a great cook and breakfast includes fruit salad, yogurts, croissants, bacon and tomatoes cooked in the oven and local, free-range eggs in different colours. Join footpaths to the river Tone, a cafe at Tonedale Mill, or to The Martlet Inn in Langford Budville for your dinner. You can catch a steam train from Bishops Lydeard to Williton and Watchet and be on the Quantock Hills in 20 minutes. Louise is very friendly and hospitable. I have stayed a number of times and always receive a warm welcome. The location is peaceful and rural. She also musters up a very good cooked breakfast! Wow! What a find! 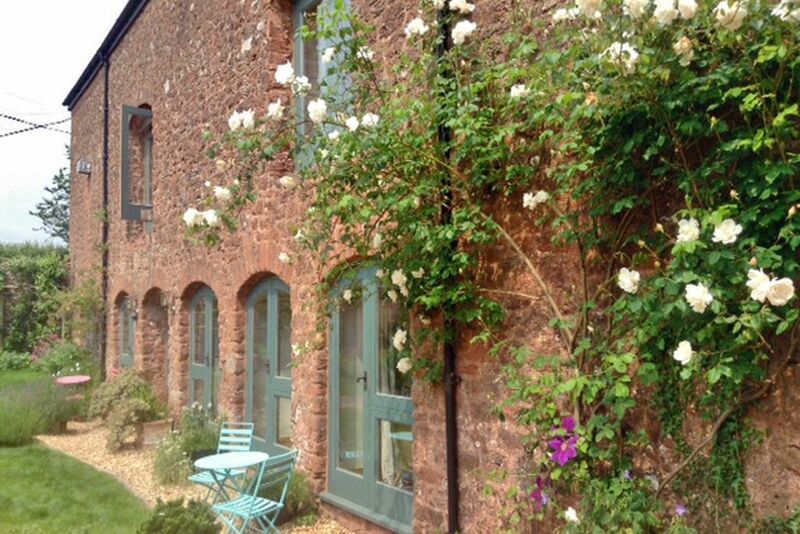 The Cider barn is a sensitive conversion providing delightful, spacious accommodation. Tastefully decorated bedrooms, very comfy beds and fully functioning bathrooms! Residents have their own comfy sitting room, but can enjoy the open-plan upstairs, (Louise's space), at breakfastime. Louise is a natural host - we were very at-ease with her and enjoyed easy chat. The Cider Barn is in a superb location - in lovely rural countryside (very quiet), yet close to Wellington via well surfaced roads, and there's a great choice of pubs serving excellent food at reasonable prices. The Cider Barn is beautiful and a very relaxing place to stay. The beds are fantastically comfortable. Louise is a great host and we very much enjoyed our conversations. A lovely place to stay. Cider Barn is in the sleepy hamlet of Runnington. You're surrounded by fields and little country lanes with views over to the Blackdown Hills. Exmoor and The Brendon Hills can be reached in 15-30 minutes, the Quantocks in 20. Wellington is a ten-minute drive: good shopping, antiques and an auction. Bishops Lydeard (for steam train outings) is 15 minutes. The Holywell Inn, Holywell Lake, is 7 minutes by car. Wonderful walks from doorstep of Cider Barn, especially one down to River Tone over quaint, historic metal bridge. West Apartment now available - self-contained flat - Twin ensuite Room with sitting room and cute kitchen,- all overlooking sunny courtyard garden. 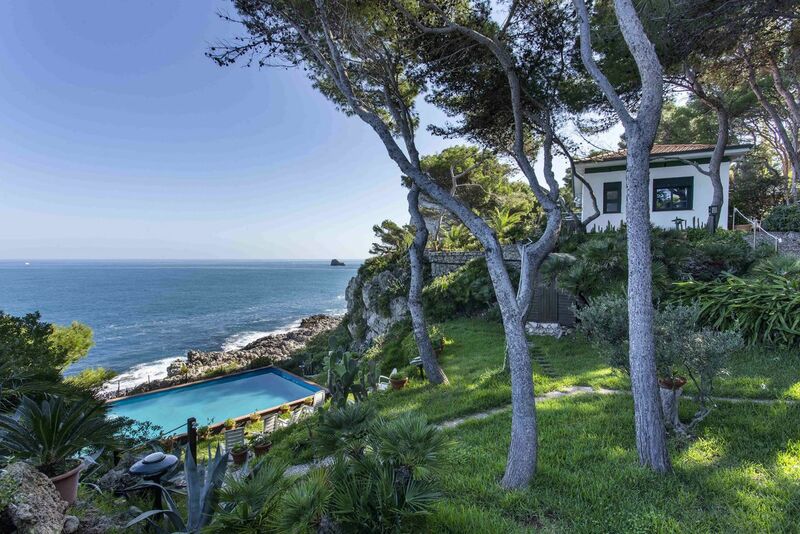 Sleep well in Mediterranean style, comfortable, high ceilinged bedrooms of character. 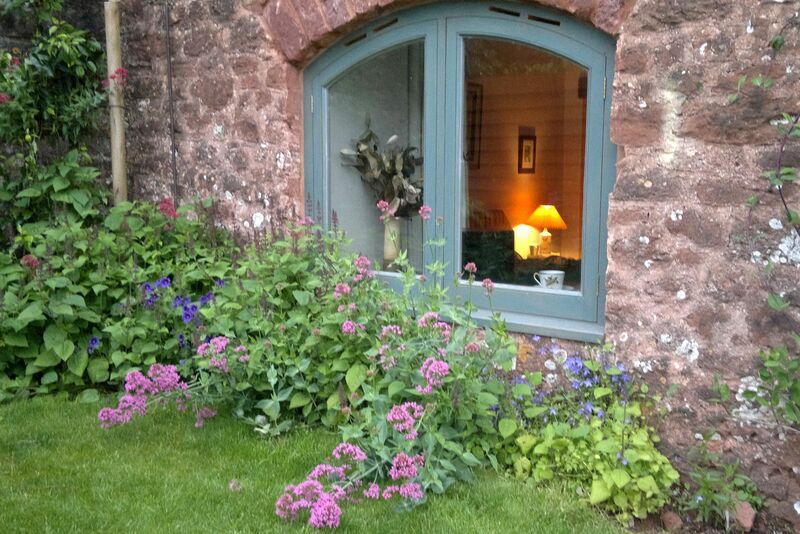 Visit Exmoor, its ponies and lovely Dulverton, or Quantocks with its ponies in ancient landscape. Martlet Inn - walking with birdsong, through pretty rural hamlet to excellent local pub in village. Gorgeous, flower filled, sunny courtyard garden with tables and chairs dotted around it. Louise has run B&B for years in a number of different places. 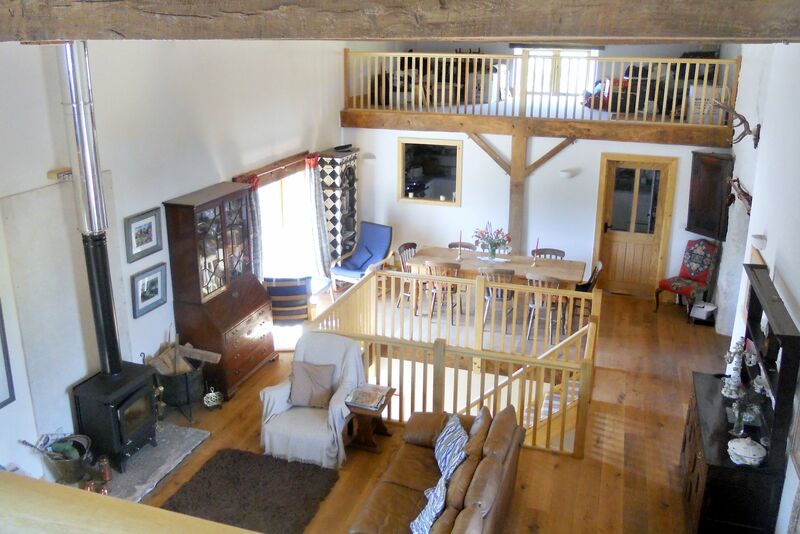 She moved here in 2009 and renovated the barn retaining many original elm beams and installing an air-source heat pump providing under-floor heating throughout. She can arrange various alternative therapies locally; she's well travelled and loves to cook.